We just observed Memorial Day in America. The emphasis tends to be for all military personnel who sacrificed their lives for our freedom. I've always loved the small American flags dancing in the winds on the hillsides of a graveyard. I can't help but shed a tear. I love America and our heroes. Do you remember, though, when it wasn't called Memorial Day? We called it DECORATION DAY. We didn't, however, only decorate the graves of our military heroes. 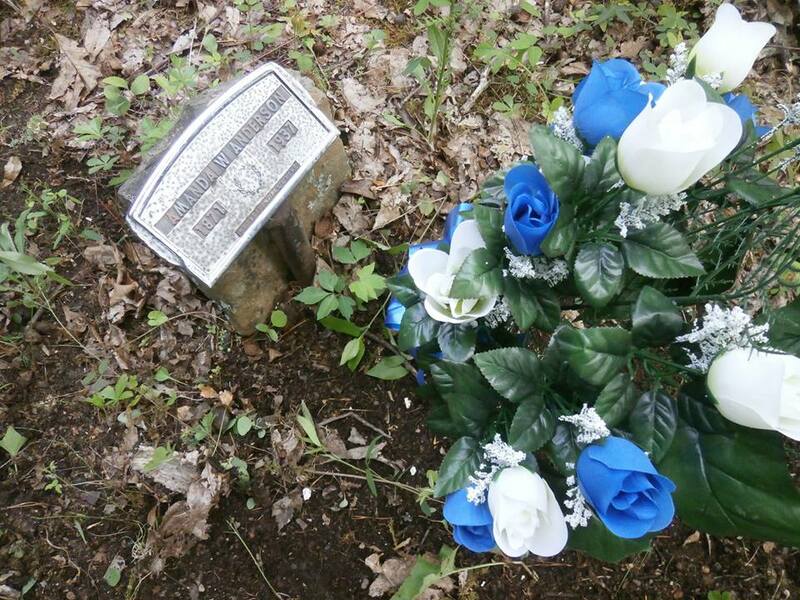 We celebrated the lives of all of our ancestors by placing flowers on their gravesites. When I was young -- much younger -- we didn't have the fancy cloth flowers that looked almost real. We had plastic flowers for DECORATION DAY. Plastic flowers that looked ... well ... plastic. Even the colors were far from realistic in shades of bright red, blue, orange, purple, yellow, and white. Every year on DECORATION DAY, people flocked to the grocery store, florist, hardware store, dime store, or roadside stand to pick out arrangements, some in wreaths, crosses, or bouquets. Large families covered the gravesite with their plastic flowers. One of my favorite pastimes on DECORATION DAY was to drive through Resthaven Cemetery in Loyall and look at all the beautiful colors covering the hillsides. We parked the car and took a closer look. I remember running all over and oohing and ahhing at the biggest and prettiest displays of remembrance. Of course, I made special notice of the ones with a little flag stuck in the ground by the headstone or marker. It saddened me when a grave had no decoration at all. I'm not physically able to climb the hills and place flowers on the graves myself anymore. Especially not my old family graveyard up on Pine Mountain. My cousin, Carol, still climbs the steep hill and takes care of the task for all our Nolan and Shell ancestors buried there. I have to laugh as she tells about the experience each year, though. It's so steep and slick up there, she usually has at least one slip-and-fall during the process. At least she remembers our family on my behalf. Guess I shouldn't laugh. Still today, I enjoy driving by a graveyard and noting the beautiful flower arrangements and flags on display. The only thing that has changed about DECORATION DAY is the name of the holiday and that the flowers are now more realistic than ever before. Some you need to touch to determine if they are real or fake. 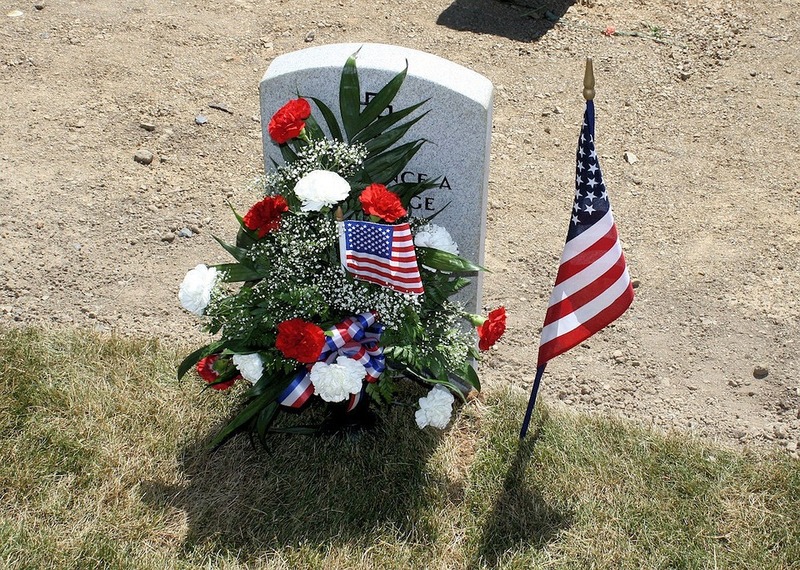 Do you place flowers or flags on graves for DECORATION DAY? Did you or do you still call it DECORATION DAY? I'd love to hear your stories. It's that time of year again when creepy-crawlies and flying menaces drive us to distraction. Although there's quite a selection of bugs I could have chosen this week, I decided to discuss the tick. 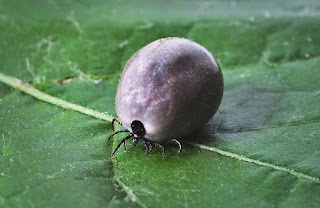 Ticks strike fear in the hearts of most people who find themselves needing to be outside the house. Is it any wonder? They are, after all, kin to spiders (one of my most hated critters). Add to that the number of diseases they carry and their uncanny ability to jump through the air and land on any host who has blood pumping through his or her body. Of course, it grosses me out just thinking about them burrowing their heads into my flesh and sucking out my blood. Since this is the Appalachian Word of the Week, though, I picked the tick so I could talk to you about what my father called LYE-MEE DISEASE. Yes, most people call it Lyme Disease. However, this gives me the opportunity to explain why a lot of Appalachian people have strange ways of pronouncing some words. Daddy had to quit school in eighth grade after his father died. 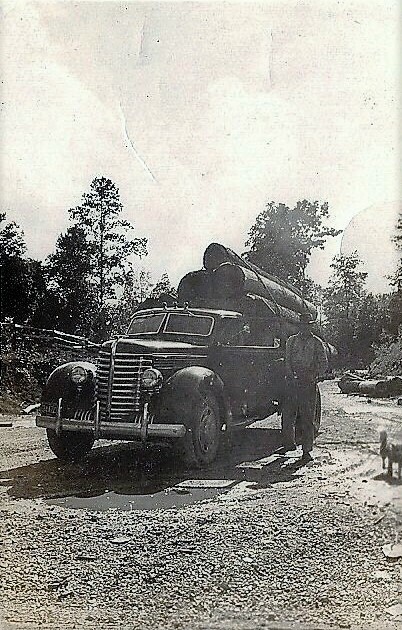 He took a job with a logging company on Pine Mountain and ended up driving a logging truck across Laden Trail. The trail is a one-lane graveled road that winds through the mountains. S-curves and meet-yourself-in-the-middle curves are common. No guardrails and washed out areas make it even more dangerous.Yes, Daddy was only a child. And, yes, it terrifies me to think about doing that as an adult, let alone as a child. All this to say, Daddy got all of his education after he dropped out of school from reading, not from being taught by a teacher who knew how to pronounce words. Daddy was a brilliant man. But when you heard him speak, it was hard to get past all the mispronounced words and realize how smart he was. That's the way it was with a lot of Appalachians. They had to quit school to help support their families. Fathers died in the mines, at war, or from illness. Without an opportunity to continue in school, many people did their learning from the newspaper, books from the library, or any way they could. Although Daddy spent most of his off-time working the garden or hunting in the mountains, he checked himself carefully to make sure he didn't have a tick on him. That LYE-MEE DISEASE scared him more than coming across a rattlesnake or bear. His fear spilled over to me. One day, as I bathed my little sister, I found a tick embedded in her scalp. Let me tell you, I screamed so loudly my mom came running. My sister commenced to crying. In those days, we didn't worry about the head of the tick so much. We took tweezers and yanked it out then flushed it. Mom and I stood there staring at my sister as she cried. I suppose we thought the LYE-MEE DISEASE would activate immediately and cause her to have convulsions or something. She just cried. Thankfully, none of us ever contracted LYE-MEE DISEASE. 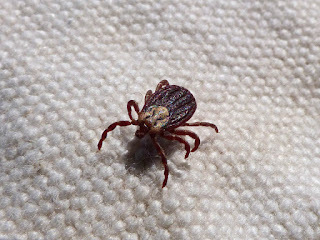 Or any of the other diseases you can get from a tick. Sadly, a lot of other people did contract LYE-MEE DISEASE and have suffered the rest of their lives from its effects. We had no idea we should take a round of antibiotics to counteract the infection in those days. Some people never realized they had been bitten by a tick until it was too late. It had already gorged itself and fell off. The purpose of this post is to point out a truth about Appalachian people. Most of us are intelligent and many are considered gifted. However, when arrogant, uppity college-educated folk hear our unique and interesting pronunciations, they falsely assume it means Appalachians are ignorant. Not so. 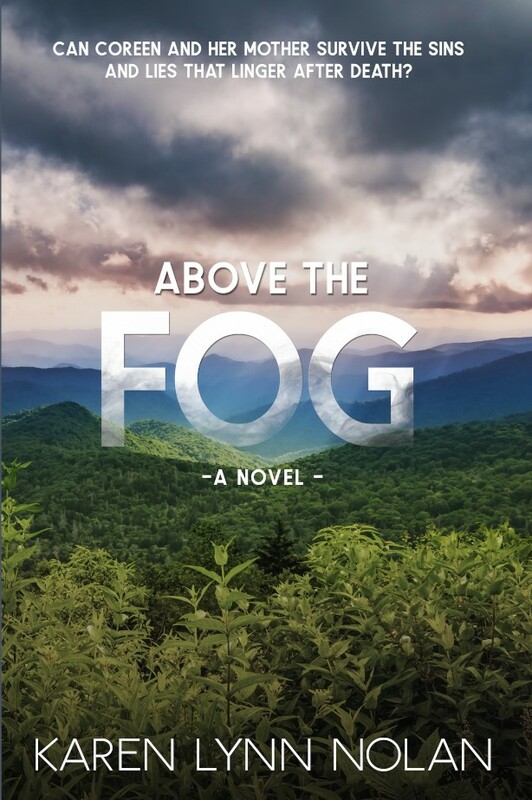 The Appalachian people are intelligent, artistic, creative, hard-working, and innovative. And well-read. If you're not from Appalachia, visit the area and sit down for a spell and chat. Listen to the abundant knowledge they can pass on to you. They deserve respect. Did you or someone in your family call it LYE-MEE DISEASE? Or did you call it Lyme Disease? 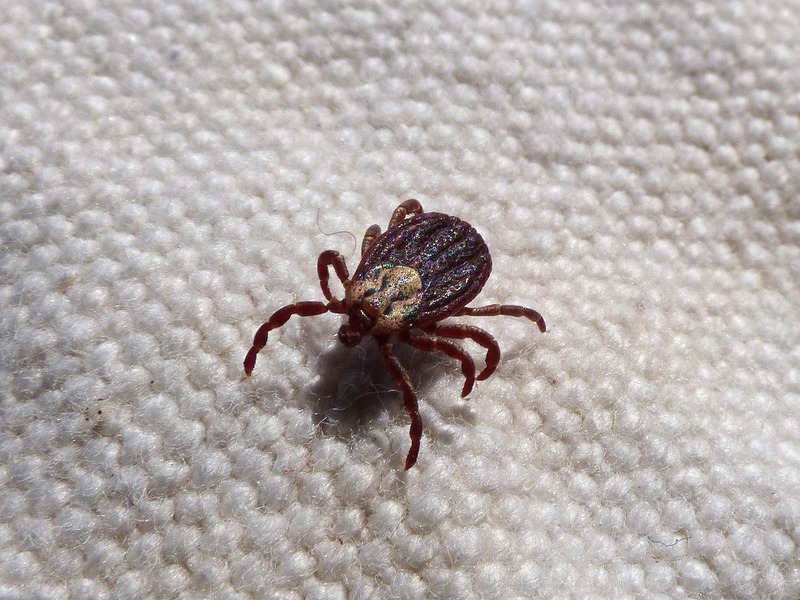 Do you have a tick story? Do you have a story about a relative who has interesting pronunciations for words?